Birthday Offer! One complimentary night's accommodation! 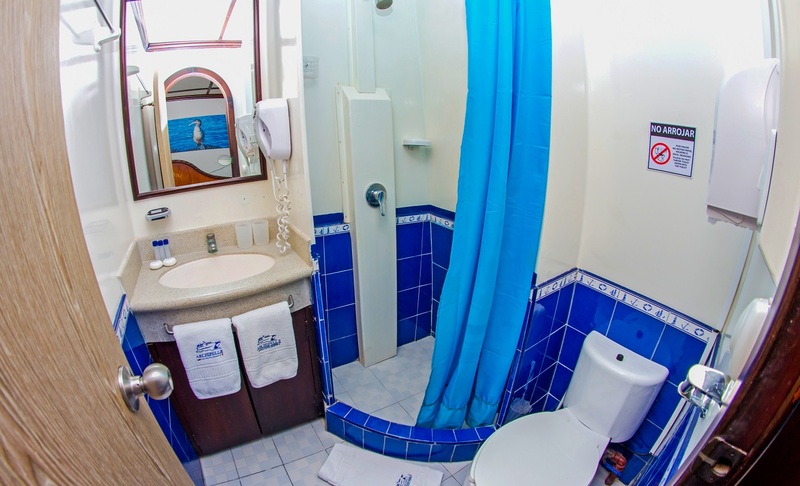 Free night in Quito between March and July either before or after cruise! 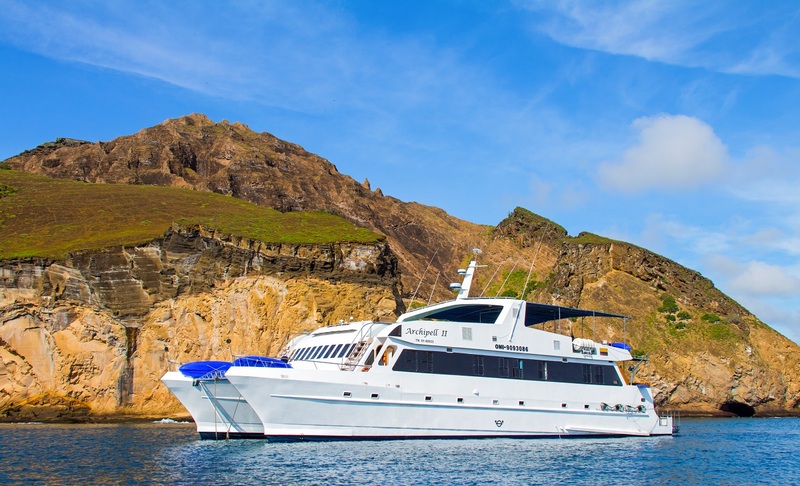 This 8 days cruise offers great opportunities to uncover the extraordinary wildlife of the Central and Western Galapagos Islands aboard the exceptional Archipell II catamaran. 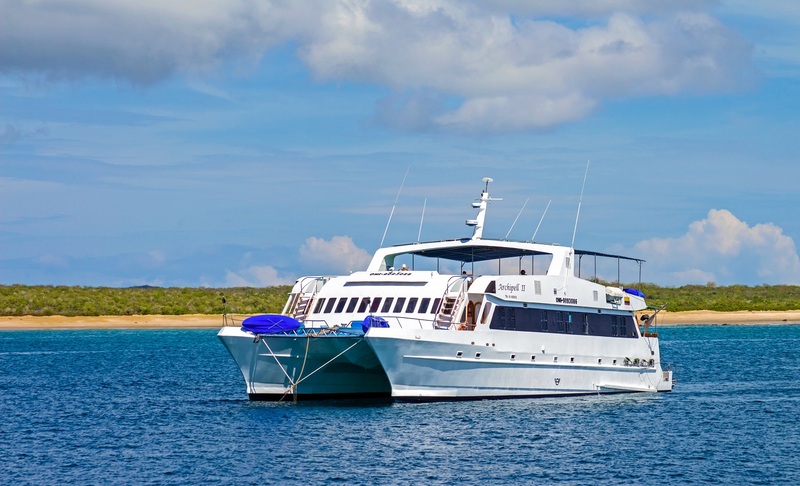 Starting from San Cristobal and ending in Santa Cruz, you will visit the spectacular Western islands of Isabela and Fernandina which are home to many of the unique species of the Galapagos including a large colony of Galapagos Penguins. Arrival at San Cristobal Airport and transfer in. 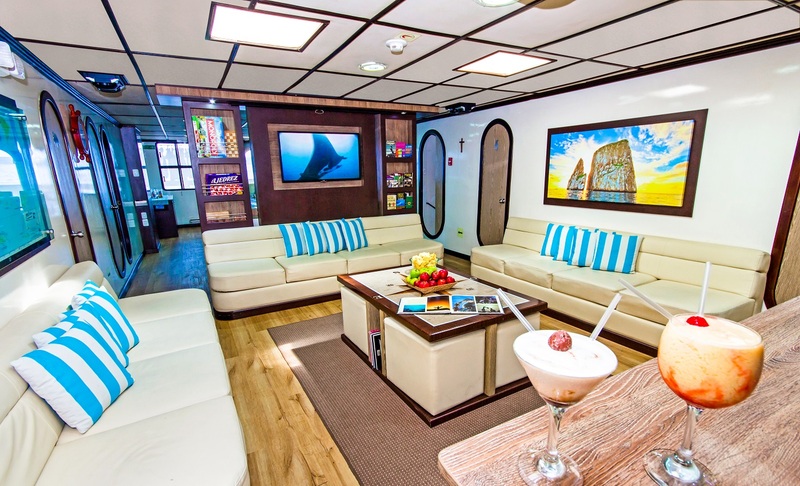 One of our representative Guides will meet you and transfer you to the M/C Archipell II. Your first visit will be to Cerro Colorado Tortoises Protection and Growing Centre, located at 40 minutes approximately by bus to the south east of the island, was built to improve the status of the population of the island tortoises. The centre includes a large corral, a Visitors centre, breeding centre and an interpretative trail. 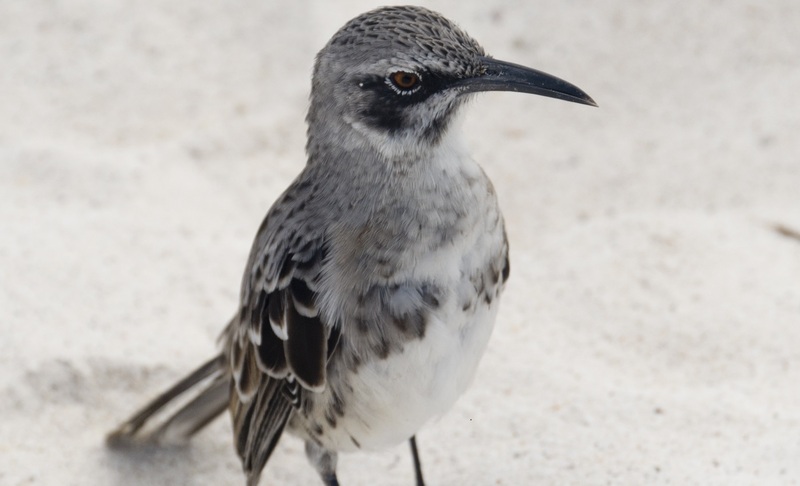 Along this trail, it is possible to see different species of native and endemic plants as well as birds like the San Cristobal Mockingbird, Yellow Warblers, many species of finches and the Galapagos flycatcher. South Plaza is located at the east of Santa Cruz Island, and forms part of two islands known as Islas Plazas. 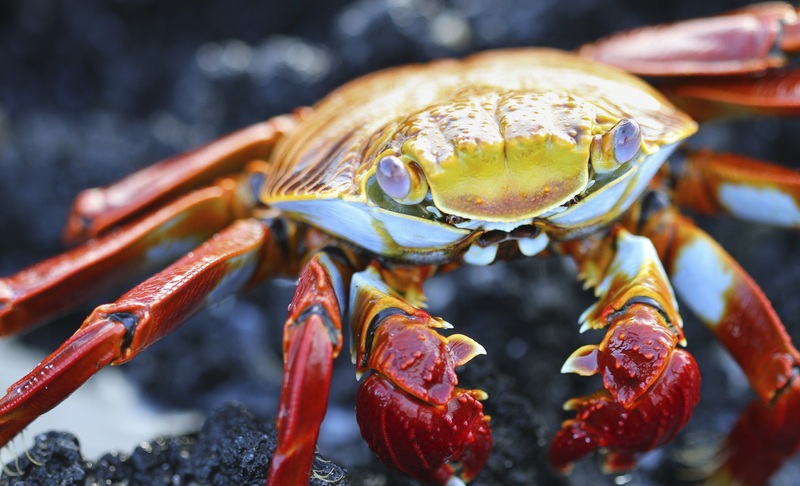 Despite its small size, some of the most interesting and outstanding species of the Galapagos are found here. The Plazas land iguanas are smaller than its relatives found on other islands. There are several hybrid iguanas, a result of crossing a male marine iguana and a female land iguana; they are unique, recognizable at first glance by their black/gray color, with a land iguana's crest, but face and tail of the marine iguanas. Located in the southeastern part of the Galapagos, this island was formed from an uplift instead than from a volcanic origin; this is why it is mostly flat. There are some theories that assure that this could be the oldest island in the Archipelago. 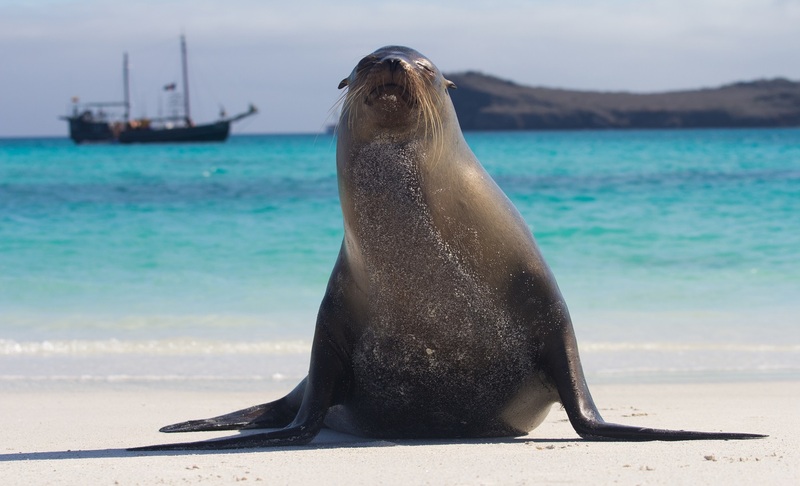 Santa Fe is the home of a number of endemic species like the Galapagos Hawk, Galapagos snake, Galapagos mockingbird, rice rats and one of the two species of land Iguanas of the islands. 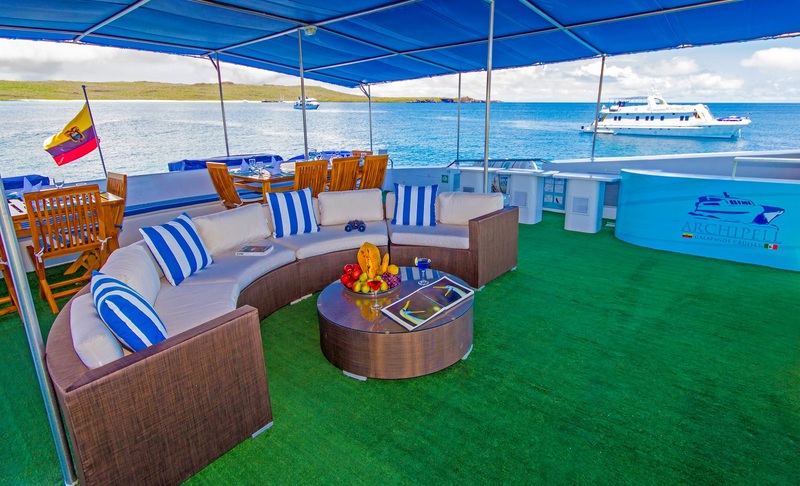 After disembarkation in the beautiful and clear waters, you will be in contact with one of the many sea lion colonies. Today, you will visit the volcanic islet of Chinese Hat, an island just off the south eastern tip of Santiago Island. Shaped like a Chinese hat, this recent volcanic cone is separate d by a small channel of Turqoise water. Around the islet, you might spot sally light foot crabs and makes for a great snorkelling spot with sea lions and tropical fish. 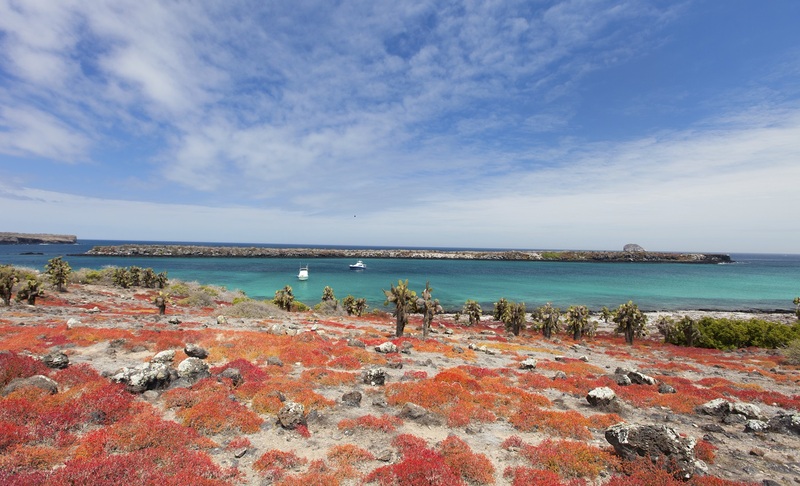 In the afternoon, visit Dragon Hill, where the largest wild population of Galapagos land iguanas reside. Today, visit Charles Darwin Station. In the tortoise breeding station, you can encounter tortoises of different subspecies, which get prepared for reintroduction to their natural habitats. The most popular inhabitant of this Station probably is the Lonesome George turtle. After the lunch we will visit the highlands of the island, included a visit to the private farm “Las Primicias”. This reserve offers you one of the best possibilities to see the huge turtles of Santa Cruz Island in their natural habitat. You can observe them from a very close distance. “Tintoreras” are small islands in front of the Puerto Villamil coast. There are Herons on the lookout on mangrove branches, Galapagos Penguins and sea lions that often pop out on shore. White-tipped reef sharks (in Spanish: Tintoreras) are common in the archipelago and are very commonly found resting in the shallow waters. 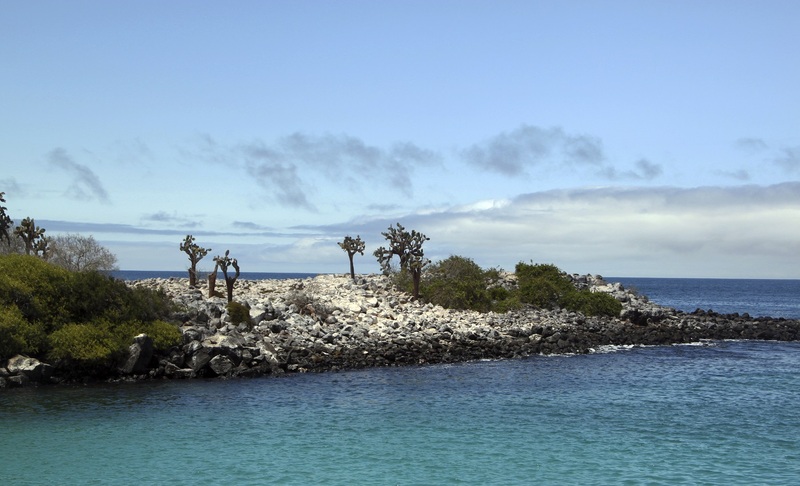 Isabela Island is the largest and one of the youngest islands in the Galapagos archipelago. We land in Puerto Villamil, which has the second smallest population in Galapagos with approximately 3.000 habitants. First, we will visit the Flamingos Lagoon; the largest coastal lagoon found in Galapagos and is one of the main reproductive sites for the greater Flamingos. 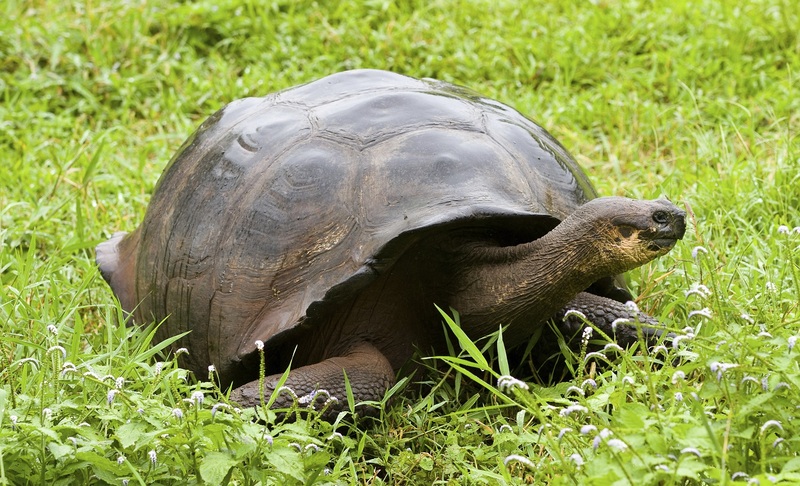 On your visit to Colorado Hill, you will get to discover the amazing and emblematic Giant Galapagos Tortoises in the Tortoise breeding centre, and maybe even get to see one hatch (seasonally)! In addition, you will get to see how much hard work is put into save the last local giants of San Cristobal. Moreno Point is located on the north coast of Isabela Island between the volcanoes Sierra Negra and Cerro Azul. 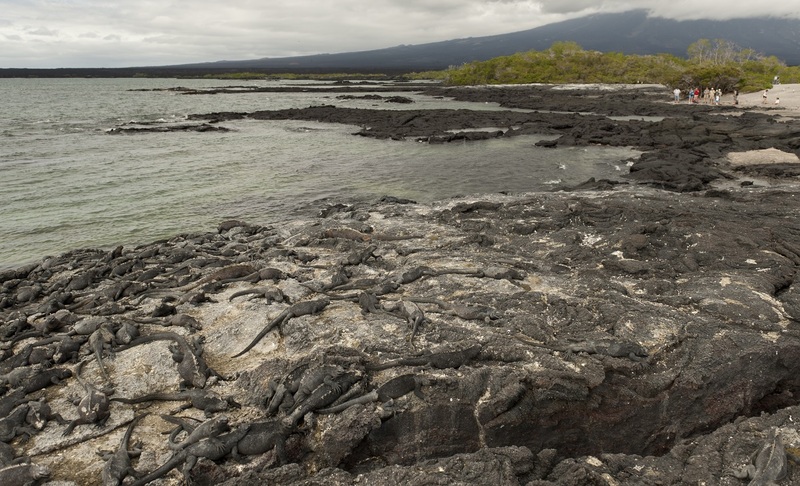 The trail runs along a solidified lava flow called “Pahohoe”, into a complex of coastal lagoons. Its main attraction are several species of birds, which are found around the lakes and mangroves. This is a marine visitor site, so the excursion has no landing point. 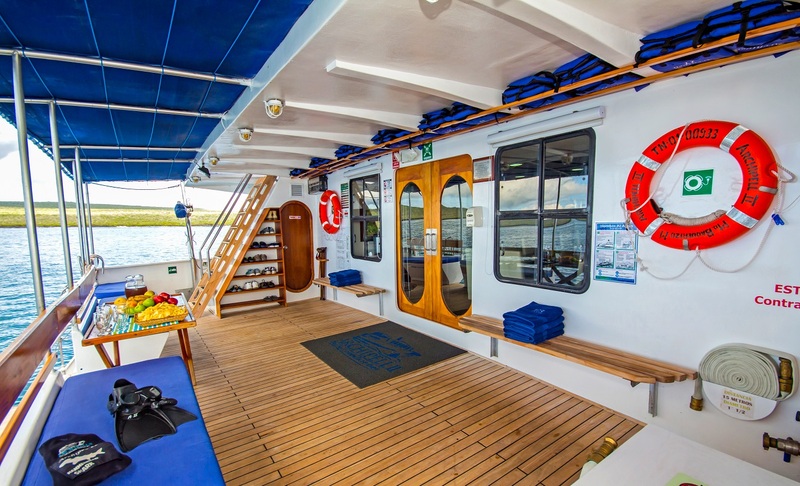 Your zodiac ride starts with a visit to the Marielas islets where the largest and most important penguin colony reside in the Galapagos Islands. The excursion continues into the cove that is surrounded by red mangroves where you can admire their red roots and green leafs. 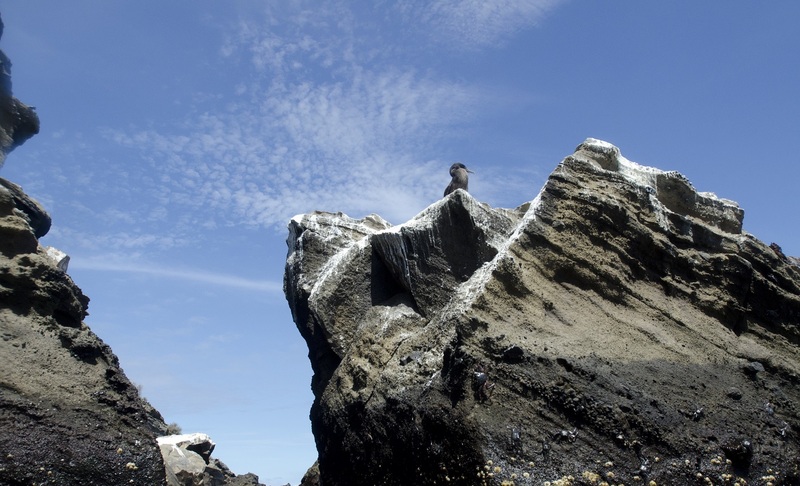 Here, you are able to observe sea turtles, flightless cormorants, spotted eagle rays, golden rays, brown pelicans and sea lions. Frequent visitors have been able to see Galapagos Hawks soaring overhead whilst schools of Pompano and Dorado fish swimming down below. 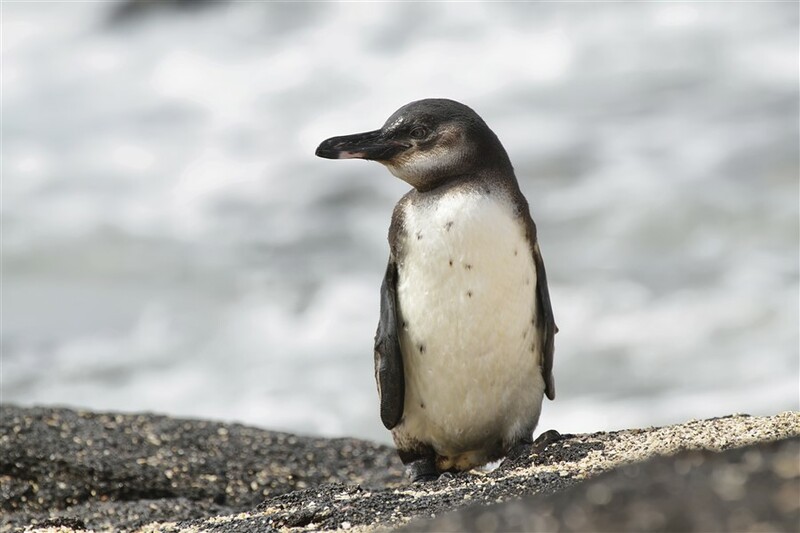 Tagus Cove, a tour along the cliffs will give the visitors a good chance to see the Galapagos penguin, the flightless cormorant and other sea birds. From the landing dock, it is about a 30-minute hike along the trail up to the top of the cliff from where you can view Darwin Lake, an uplifted lake saltier than the sea. You can also see several volcanoes from this location. Look carefully at the graffiti on the surrounding cliffs of the cove, it has been written by pirates, whalers and buccaneers in past centuries! Fernandina is the third largest island in the archipelago and has a single visitor site: Punta Espinoza located at the northeastern tip of the island. Here, marine iguanas conglomerate in larger groups than in any other island. They bask around in the sand, swim near the shore and sometimes, block the way at the landing dock. Among the unique species found here, we can find the Flightless Cormorant. These two small beaches are found to the West of Turtle Cove. Their sand is made of decomposed coral, which makes it white and soft, and a favourite nesting site for sea turtles. Behind one of the beaches there is a small blackish water lagoon, where it is occasionally possible to observe flamingos and other coastal birds, such as black-necked stilts and whimbrels. The other beach is longer, but it has two old barges that were abandoned during the World War II, when USA used Baltra Island as a strategic point to protect the Panama Channel. Assisted by the naturalist guide and some crew members, the dinghy will bring you and your luggage to the Seymour Ecological Airport, where we will take the shuttle back to the airport. 29 Apr 2019 - 06 May 2019 $5574 AUD Birthday Offer! One complimentary night's accommodation! 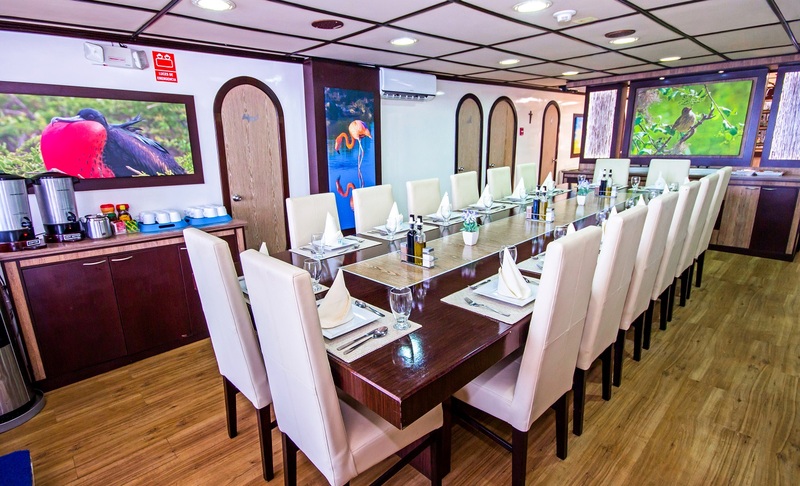 Standard Cabin - Double $5574 AUD Birthday Offer! One complimentary night's accommodation! 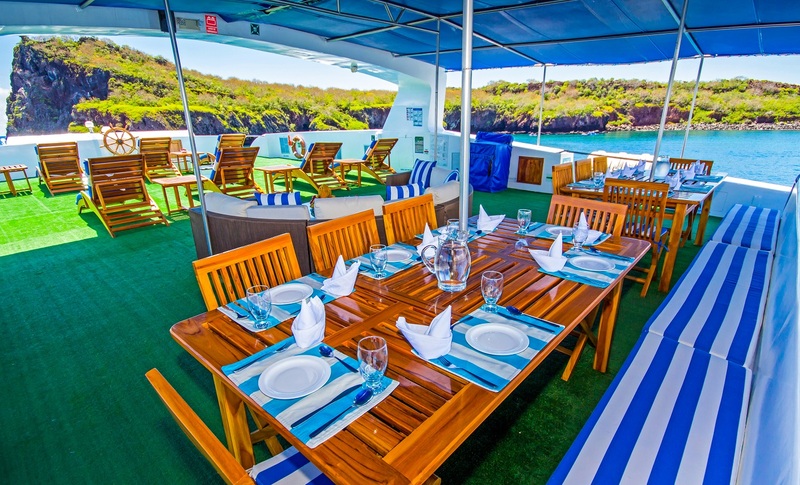 Standard Cabin $5574 AUD Birthday Offer! One complimentary night's accommodation! 13 May 2019 - 20 May 2019 $5574 AUD Birthday Offer! One complimentary night's accommodation! 27 May 2019 - 03 Jun 2019 $5574 AUD Birthday Offer! One complimentary night's accommodation! 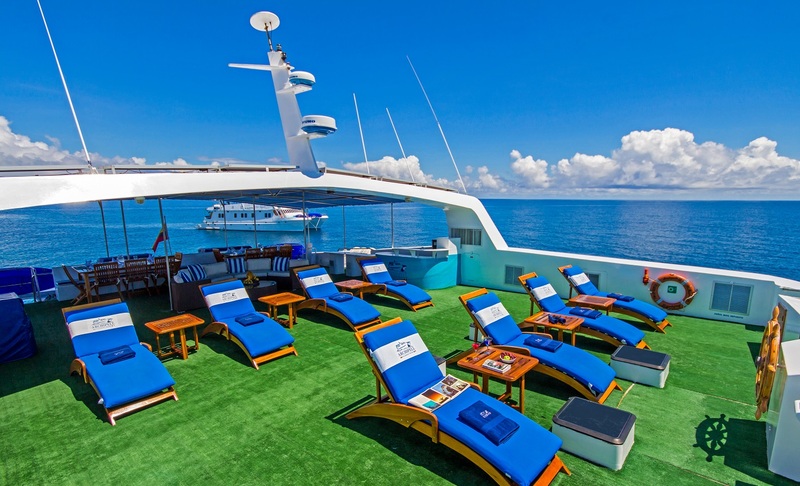 10 Jun 2019 - 17 Jun 2019 $5574 AUD Birthday Offer! One complimentary night's accommodation! 24 Jun 2019 - 01 Jul 2019 $5574 AUD Birthday Offer! One complimentary night's accommodation! 08 Jul 2019 - 15 Jul 2019 $5574 AUD Birthday Offer! One complimentary night's accommodation! 22 Jul 2019 - 29 Jul 2019 $5574 AUD Birthday Offer! One complimentary night's accommodation! 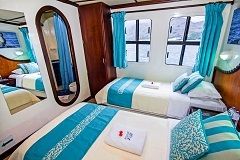 2 caibns with queen bed, 6 cabins with 2 single beds, two sea-view windows, private bathroom, closet & air conditioning.